Is this poppycock or a promise that will be made good? Only time will tell, but United wants consumers to know they hear you loud and clear. How about this for an opening, declarative statement: It’s not fun to fly anymore. Believe it or not, United Airlines CEO Oscar Munoz agrees and says he’d like to do something about it. While Boeing works to make critical safety modifications to the Boeing 737 MAX aircraft, whistleblowers claim there are issues with another new Boeing jet, the 787 Dreamliner. Current and former employees of the Boeing plant in North Charleston, S.C., have told the New York Times shoddy production is prevalent and oversight is lacking. As a result, some of these whistleblowers expressed concern about the safety of the aircraft. According to TripAdvisor's top 10 list, only two are based in the U.S.
Travel site TripAdvisor.com has named what it considers the 10 best airlines in the world. Unless you do a lot of international travel, you might not get to enjoy most of them. 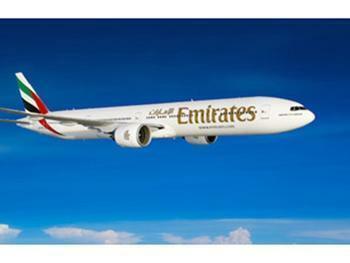 Coming out on top is Emirates, based in the United Arab Emirates (UAE). It's followed by Singapore Airlines, and then Brazil's Azul. It's only in the fourth spot that a U.S.-based airline -- JetBlue -- makes an appearance. It's followed by Air New Zealand, Korean Air, Japan Airlines, and Thailand-based Thai Smile at number eight. Alaska Airlines, the only other U.S.-based carrier to earn a spot on the list, is ninth and Garuda Indonesia rounds out the top 10. "The airline industry is investing billions of dollars in new aircraft and service enhancements to differentiate the flying experience and these awards recognize the carriers offering the very best experiences and value to the traveling public," said Bryan Saltzburg, Senior Vice President and General Manager for TripAdvisor Flights. In addition to the top 10 list, TripAdvisor rated airlines in different categories of service, such as first class, business class, premium economy and economy. The awards were based on an algorithm that analyzed airline reviews and ratings submitted by travelers worldwide over the last year. Besides being named number one overall, Emirates took honors for Best First Class and Best Economy Class. "The fact that the awards are a result of unbiased reviews and feedback speaks to our commitment to deliver a superior travel experience for our customers," said Sir Tim Clark, President, Emirates Airlines. Russia's Aeroflot was awarded Best Business Class and Air New Zealand was named Best Premium Economy Class. Since U.S. carriers were not overly represented on the list, TripAdvisor created a category for North American airlines. It named Delta the top major airline in the U.S.
That list has been in flux since the TSA first invented it. Back in the summer of 2005, all small metal grooming tools, such as tweezers and nail clippers, were banned in carry-on luggage, then they were allowed again. Shampoo, liquid soap and other toiletry gels were initially allowed, then briefly forbidden altogether, then re-allowed provided they were in labeled bottles or tubes each containing three ounces or less, although that limit has since increased so that today, you can have moisturizer, toothpaste and other personal-hygiene gels in bottles or tubes containing up to 3.4 ounces apiece. However, for terrorist-prevention reasons those individual bottles and tubes all must fit in a plastic resealable sandwich bag no larger than one quart. All carry-on electronics were banned for a day or two after Christmas 2009, during which time the TSA also imposed a set of rules governing passenger behavior during the last hour of a flight: hands were to be visible at all times, nothing was to be kept in people's laps, no reaching into your pocket or carry-on bag, and no leaving your seat for any reason. Those punitive restrictions were soon rescinded. One year later, in October 2010, the TSA started requiring fliers in American airspace to submit to what it calls “enhanced patdowns” -- the explicit genital-grabbing all-body searches which, as a TSA agent admitted at the time, were deliberately intended to intimidate fliers into walking through the TSA's then-new full-body scanners instead. And, of course, there have been the periodic TSA warnings against everything from shoes to cupcakes, all of which might, possibly, have the potential to be a bomb, or hide a bomb, or otherwise do something dangerous. Hence the justification for the TSA's latest edict: if you are going to fly in American airspace and your cell phone has a dead battery (more specifically, if you show up with a device that cannot be turned on where a TSA agent can see it), they'll suspect the device is actually a disguised bomb, and then treat you as a suspect. Hopefully, no terrorist or potential terrorist anywhere in the world is smart enough to disguise a bomb as an electronic device and then give it an actual working screen. But this possibility has already been considered and discarded by Jason Harrington, a former TSA agent who wrote in the Guardian that "the new airport cellphone rules wouldn't stop an iBomb" and warned that "the latest ad hoc security directive might actually make us less safe." Those of a certain age may recall that this is actually not the first time the "turn on your devices" rule has been implemented. Long before there was a TSA -- back in the 1990s -- security guards at many U.S. airports used to ask travelers to turn on their laptops. Since this was in the Windows XP days, when a boot-up could take several minutes, it resulted in some pretty major back-ups and was eventually abandoned. "More like a physical assault"
American journalist Lisa Simeone, 57, said: “When I came through here last it was a cursory pat-down. She said officials were swabbing belongings, clothes and shoes and even swabbed a baby’s pushchair. No bombs or terrorists were found. Simeone, a Baltimore resident and a frequent contributor to the TSA News Blog, is a frequent traveler who said she stopped flying in American airspace in 2010, when the TSA's “enhanced patdown” policy started. “We used to travel a lot; it was a big part of my life,” Simeone said in a phone interview with ConsumerAffairs. The thought of never visiting Europe again made her rather depressed until she discovered that the Queen Mary 2 docks in New York and takes passengers across the Atlantic, so she and her husband got into the habit of driving from Baltimore to New York, taking the ship to Europe [it makes port calls in England and Germany], then flying back to the U.S.
At any rate, Simeone and her husband said their vacation took three weeks in all, including the week they spent on the Queen Mary 2. Two and a half weeks into their vacation, Simeone learned, the TSA practices she sought to avoid in America had followed her to Europe. Southwest Airlines pilots are calling for the resignation of CEO Gary Kelly, blaming him for the tech meltdown that left the airline in shambles for days last month. The pilots were joined by the mechanics of the Aircraft Mechanics Fraternal Association. “As tenured employees and frontline leaders of this company, we can no longer sit idly by and watch poor decision after poor decision deeply affect our customers and Southwest Airlines," Capt. 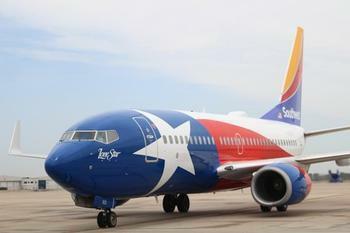 Jon Weaks, president of the Southwest Airline Pilots Association, said in a prepared statement after the union's board voted 20-0 to approve a no-confidence vote in Kelly. Weaks said Kelly and Chief Operating Officer Mike Van de Ven have a "misguided focus on cost control" that has caused "years of operational deficiencies, unprecedented labor strife, and continued culture erosion at the company." "We believe that a change is needed for the best interests of Southwest Airlines and the loyal customers we serve," the union said and urged the Southwest board to replace both top executives. Kelly maintains that the July 20th outage was caused by the failure of a lone router at the airline's Love Field data center in Dallas. The router, like the thousands of others in the data center, had a backup system in place. But Kelly said the "unique" way the router failed, what he described as a "partial failure," didn't signal the backup that it was needed, allowing a singular disruption to metastasize into a crisis, the Dallas Morning News reported. Kelly compared it to a once-in-a-thousand-years flood. "In 45 years, we've never had a challenge like this one," Kelly said. But Weaks said that under Kelly's management, "there has been an inability to prioritize the expenditure of record-breaking revenues toward investments in critically outdated IT infrastructure and flight operations" and said those "decisions have directly lead to the operational failure at Midway Airport in January 2014, chaotic crew scheduling during the summers and holidays of 2014-2016, and our most recent 'meltdown' related to technological infrastructure this past month." The glitch caused the cancellation of 2,300 flights, stranding hundreds of thousands of consumers and costing Southwest tens of millions of dollars. The airline industry can be a harsh business. In a world where money is king and companies are always looking out for the bottom line, not scraping in revenue from every available source is practically unheard of. However, “practically” may be the operative word. 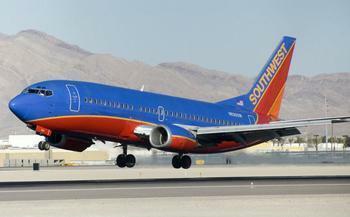 Southwest Airlines has been under pressure to generate more revenue. The company is the only one of the largest commercial airliners in the U.S. that doesn’t charge a baggage fee, so the money is there for the taking. But, according to a Los Angeles Times report, CEO Gary Kelly has stated that the company won’t be doing that, at least for now. “We have a unique and beloved position in the industry with this approach and we would be foolish to squander it, so no thought whatsoever on charging bags,” Kelly said in a recent quarterly earnings call. The decision to let bags fly for free is great for consumers, but it potentially costs Southwest millions every year. Last year, the top 13 airline companies raked in $3.8 billion in bag fees, along with another $3 billion in charges that consumers paid for changing or canceling flight reservations – another service that Southwest doesn’t charge for. As a result, investors have cranked up the heat on the company to start tapping these revenue streams. Recent earnings reports haven’t been very favorable; last quarter’s earnings were down by nearly $200 million year-over-year, and the recent technology outage in July cost the company dearly. Kelly also cites increased competition as a major factor in the company’s bad fortunes. “The fare environment is very competitive and we have seen an increase in competitor seats in our markets that is fairly significant year-over-year,” he said. The CEO says that he has plans to bring in more revenue soon, though he remained tight-lipped about what those plans actually involved. “Well, it’s just not ready for prime time. And I’d rather not share with our competitors where we see opportunities for a variety of reasons,” Kelly explained. Consumers may remember with dread how long airport security lines were this past spring. The problem got so bad that lawmakers greenlighted a TSA effort to hire more than 700 employees to get things moving at a reasonable pace. While the stagnation eventually subsided, TSA officials are concerned that the long lines may return in October. TSA Chief Peter Neffenger stated that the agency may need to make job cuts if Congress isn’t able to come together on a new budget. The cuts would result from a larger government shutdown that would occur on October 1, the beginning of the 2017 fiscal year. 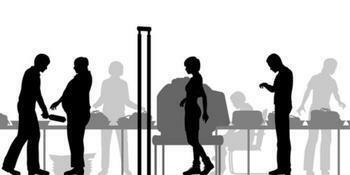 TSA took big steps in the summer to reverse the bad conditions during the spring. The agency hired 1,400 new security officers and converted 2,000 part-time workers to full-time positions. However, Congress’ failure to create a cohesive budget would put the agency back in the position it was in during the spring. Neffenger was quoted as saying that TSA’s new staff would “all go home on October 1st,” if Congress fails to act. Congressional leaders have not been able to work out a new budget deal for the coming fiscal year thus far, but there are some positive signs. President Obama expressed “modest” hopes of a resolved budget before the October 1 deadline, and Neffenger went so far as to say that the TSA was receiving “good signals” and “strong support” from the administration. With nearly every airline charging a checked bag fee, passengers are trying to cram more and more into the overhead bins. That creates problems for both airlines and passengers but the chore might get a little easier on new and retrofitted Boeing 737s. Alaska Airlines is taking delivery of some of the new jets that feature Boeing's new Space Bins, which the airline says will increase the room for carry-on bags by 48%. Alaska says its the first airline to line up for the capacity-adding feature. By the end of 2017, Woerner says nearly half of Alaska Air's fleet will have larger bins to accommodate a carry-on bag for virtually every passenger. The airline said it will take delivery of 34 737s and one MAX in the next two years and will begin retrofitting 34 Boeing Sky Interior aircraft, primarily 737-900ERs, in 2016. Other airlines are sure to explore this option, since all are wrestling with the space issue. Maura, a United passenger, posted this response from United Customer Service at ConsumerAffairs, when he complained that he could not find space for his bags. Alaska Airlines says very soon, it will have the largest overhead capacity. It says each Space Bin can hold six bags, two more than the current pivot bins installed on Next-Generation 737s with the Boeing Sky Interior. That's based on a standard size carry-on bag measuring 9 inches x 14 inches x 22 inches. "We work closely with our customers to continuously enhance their airplanes so they can offer great passenger experiences," said Brent Walton, manager of 737 Interiors New Features for Boeing Commercial Airplanes. "We have a strong record of delivering value with innovative interiors features, like bigger bins that help reduce passenger anxiety about overhead storage and provide a better travel experience." When open, the bottom edge of the Space Bin will hang about two inches lower, so travelers can lift their carry-on bags in and out more easily. The deeper bins will allow more bags to be stowed and increase visibility into the back of the bins. Alaska also says the Space Bins, designed without a flight attendant bin assist mechanism, will be easier to close. Alaska Airlines said it is installing Space Bins on all its 737-900ERs and MAX aircraft currently on order and by 2017 will have 69 airplanes, or 46% of its passenger fleet, outfitted with Space Bins. It turns out there are a number of interested parties following the Justice Department's investigation into possible collusion among U.S. airlines. In particular, it is travel-related businesses that have expressed some concern. The Travel Technology Association represents many of the websites consumers use to book travel, including Orbitz, Expedia, Priceline, Sabre, Amadeus, Travelport, Skyscanner, Airbnb, HomeAway, TripAdvisor, CheapOAir, and Vegas.com. As such, it has a bone to pick with airlines that it says have adopted policies that restrict the availability of fare and schedule information in the marketplace. “Limiting access to airline content through the independent channel – which provides travelers with the transparency and choice they demand – negatively impacts consumer welfare,” the group said. 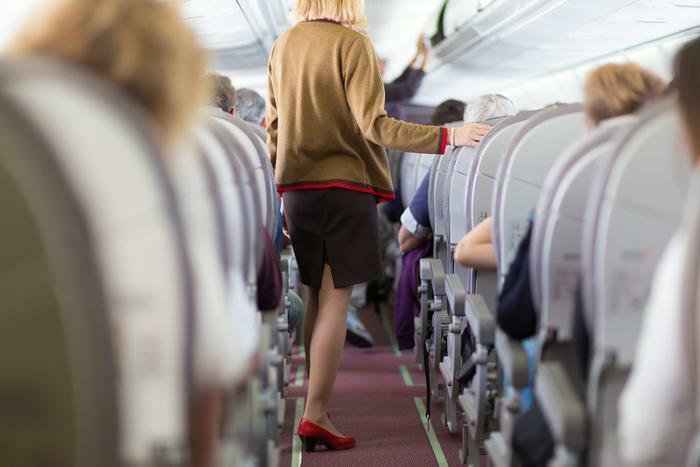 In a study it released in May, the association claims that if airlines are successful in efforts to restrict access to flight information, ticket prices would rise more than 11% for leisure and unmanaged business travelers. That, I says, would translate into about $30 more for the average ticket. 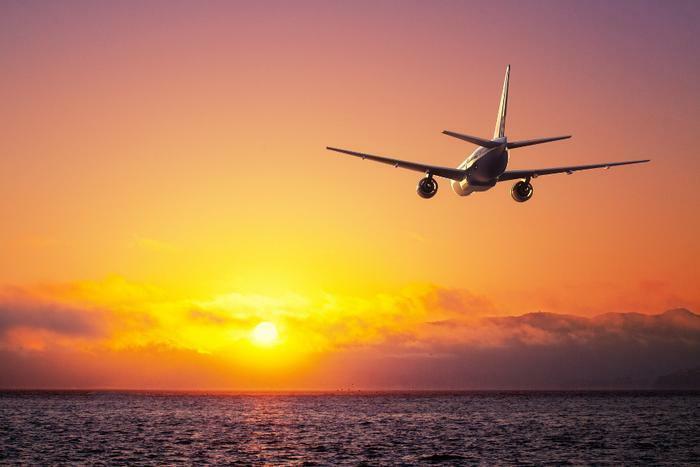 The association has also expressed concern about recent statements by airline executives during a June round table discussion in Miami, hosted by the International Air Transport Association (IATA). The group of airline CEOs reportedly talked approvingly of recent actions by a U.S. airline to implement new discriminatory surcharges on consumers who choose to book travel through third-party channels. Travel Tech is not the only trade group unlikely to volunteer as character witnesses should the Justice Department eventually bring anti-competitive charges against United, America, Delta and Southwest airlines – the objects of the probe. Others in the travel industry might prove reluctant as well. Earlier this month the U.S. Travel Association expressed “alarm” at the government's announcement of the airline investigation. Association CEO Roger Dow worried that the traveling public is already “jaded” about flying and hoped that, where the Justice Department sees smoke, there is no fire. Still, he says the airline industry has invited much of this unwelcome scrutiny. Dow says Congress could increase airline competition by making it easier for airports to raise funds for expansion. Many Wall Street analysts disagree, however. They says airlines have only recently become profitable by consolidating and, in essence, reducing competition. The Memorial Day weekend came and went without headlines or viral videos about excessive waits to get through airport security. There were still extended waits at some airports, but nothing like the breakdowns that occurred the previous week. While things may have temporarily improved, Transportation Security Administration (TSA) officials say there will be no quick and easy fix. TSA, Congress, and the Airlines have blamed one another for the mess and passengers seem to blame all three. “Blame is great but it doesn’t solve anything,” said Guy McHendry, an assistant professor in the Department of Communication Studies at Creighton University. A communications expert, McHendry has studied the delays at security checkpoints as a communication issue. He says he's observed several problems. McHendry says TSA has very little communication directed at consumers who rarely travel by air. When confronted with security procedures, their lack of understanding of what is expected from them can slow things down. He notes that TSA has blamed passengers, in part, for the bottlenecks since they aren't prepared when they reach the checkpoint. But whose fault is that, he asks? McHendry says clearer statements of the expectations, better signage, and a cheerful TSA screener walking lines and providing helpful reminders could help move the process along. Better communication, he says, might also reduce the number of prohibited items that show up at checkpoints, contributing to delays. Finally, McHendry says better TSA internal communication might help morale and slow the turnover of personnel that has contributed to staff shortages. “TSA has to ask itself why people are leaving and what the impact will be,” he said. Another possible reason for the security bottlenecks may have its origins in drills conducted late last year. TSA officials carried out a number of operations in which people purposefully tried to get prohibited items through the security lines. Officials were chagrined to find that it was relatively easy to do. 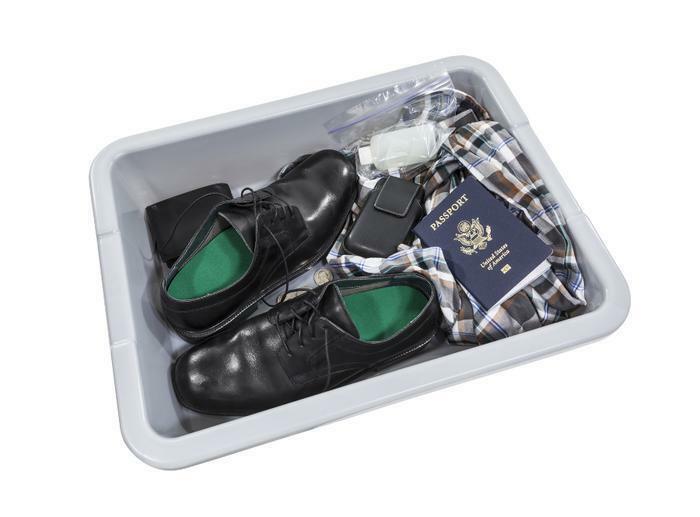 Early this year TSA screeners expanded their screening duties to ensure no banned items made it onto the aircraft. The chief executive of beleaguered JetBlue is winning kudos from crisis management experts less than 10 days after the ice storm that put his airline into the deep freeze. A contrite David Neeleman has issued profuse public apologies on network television, on the video-sharing site YouTube, on newspaper front pages, and on the JetBlue website. He's not only offered millions of dollars in compensation but issued a consumer-friendly Passenger Bill of Rights, retroactive to cover the victims of the newest St. Valentine's Day massacre, with vows to enforce it. He's told employees -- the prime target of customer wrath -- to put on the friendly face JetBlue patrons experienced prior to the Feb. 14 fiasco. Most importantly, Neeleman has looked and sounded sincere in all his public appearances. Crisis management experts have noticed. "People see through it when the typical CEO hides behind the podium or the press release," said Bernstein Crisis Management president Jonathan Bernstein. "(Neeleman) gave the public ample face time and did so with passion in his voice. He talks the talk of everyman, which is exactly what he needed to do." Fellow Californian Alex Anolik, a San Francisco attorney who represents travel agents and tour operators, agreed. He called JetBlue's Passenger Bill of Rights "a good PR move." Richard Levick, president of the Washington-based Levick Strategic Communications, went even further. "JetBlue has run to the crisis, taking responsibility not just for itself but for the entire industry." 1. Run to it. Avoid "duck and cover." 2. All companies will have a crisis. Be prepared. 3. Know your crisis team. Now. 4. Make a sacrifice. Companies often want to win it all. 5. Avoid saying "no comment." A crisis abhors a vacuum. "The critical role is to run to the crisis," he said. Accepting responsibility with sincerity also may defray legal consequences. "People don't want to sue people they like and trust," Levick noted. "What happens so often is that CEOs lawyer-up and say nothing." Such actions often hurt the company, he said, because media reports are based solely on the reactions of victims and their elected representatives. For his part, Neeleman admitted to being "humiliated and mortified" by the weather-caused snafu that kept seven flights on the JFK airport tarmac for times that ranged from six-and-a-half to nearly ten-and-a-half hours. Food, water, working toilets, and patience ran out. It took six days -- and a total of 1,000 cancelled flights -- to get JetBlue's schedule back to normal. Neeleman swears that won't happen again. Now he has to hope that prospective passengers believe him. Both Southwest and JetBlue are following United’s announcement on fee bumps with ones of their own. First, Southwest said sayonara to its much-loved peanuts. Now, the airline will be moving from its flat $15 for Early Bird Check-In to $15, $20, or $25 per one-way route starting on August 29, 2018. What the flier pays is based on the length of the flight and what Southwest considers the popularity of that flight’s Early Bird Check-In. Consumers will be on the move this Thanksgiving holiday weekend, resulting in a significant rise in air travel, according to Airlines for America (A4A), an industry trade group. In its annual forecast, the group predicts 25.3 million passengers will travel on U.S. airlines during the 12-day Thanksgiving travel period, a 3% increase over last year and the highest number since the Great Recession. What's behind the increase? The trade group says an improving economy and still-low gasoline prices have put consumers in the mood to travel over the holiday. Airlines are expected to add capacity, in the form of larger planes and additional routes, to handle the increase in passenger traffic. To avoid the rush, A4A says your best travel days during this busy period will be Thursday, Nov. 26, and Friday, Nov. 27. A4A says the continued profitability of U.S. airlines will allow them to increase capacity to meet the short-term increase in holiday demand. Airlines have been more profitable in recent years, since adding fees to baggage and other items that were once provided at no charge. Lower fuel prices have also increased profitability. During the first nine months of 2015, the 10 largest publicly traded U.S. passenger carriers reported pre-tax earnings of $18.8 billion, resulting in a profit margin of 15.6% – up from 7.7% in 2014. On a net basis, the group reported $17.9 billion in earnings, or 14.8% of revenues – up from 5.7% in 2014. 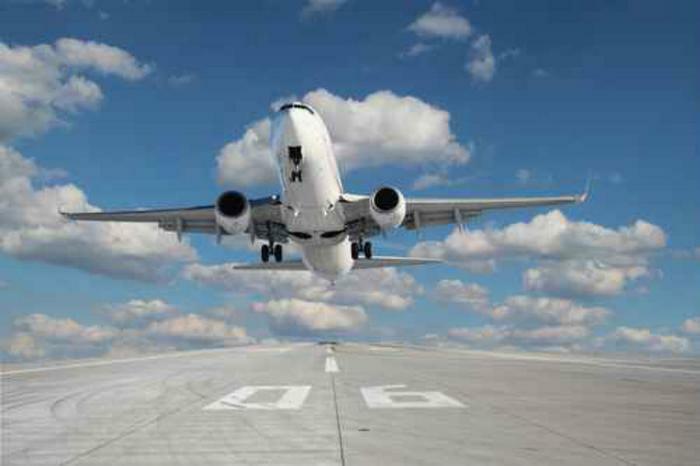 Should airline 'black boxes' be in the cloud? The mystery of the disappearance of Flight MH370 is fueled, in large part, because we just don't know what happened to the Malaysia Airlines jet in the minutes after communication with ground controllers broke off. Was the plane hijacked or did it suffer some catastrophic event? We won't know unless or until investigators can recover the “black boxes,” devices that are aboard every commercial airplane. There are two black boxes, which are actually orange. 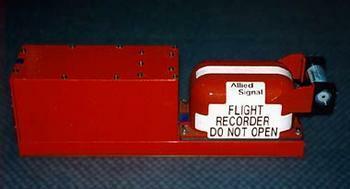 One, the Flight Data Recorder, records the activity of aircraft systems. The other, the Cockpit Voice Recorder, records conversation among the flight crew in the cockpit. Located in the tail of the aircraft, these boxes can help investigators piece together the events that lead to a crash. But MH370, along with its black boxes, is nowhere to be found, leaving investigators completely in the dark about what happened to the aircraft, and why. Some aviation experts have argued for some time that technology now allows this data to be available to investigators instantly, long before crews arrive at the scene of an air disaster. "It's time to move the black box to 'the cloud' at least for essential limited flight recorder data for long flights over areas like the Indian Ocean, or other remote areas across large land masses like across the Brazilian Amazon," said Oliver McGee, former U.S. Deputy Assistant Secretary of Transportation for Technology Policy in the Clinton Administration. The idea of remote flight data collection began to get serious discussion following the 2009 crash of Air France Flight 447, which plunged into the South Atlantic on a flight from Rio de Janeiro to Paris. It took two years to located the wreckage and retrieve the black boxes. Mark Rosenker, former chairman of the U.S. National Transportation Safety Board, told Reuters the MH370 disappearance is all the more reason to find a way to record at least some of each aircraft's data in the cloud. It's time, he says, to bring accident investigation into the 21st century. Some aviation experts say the technology to stream aircraft data to the cloud for real-time access already exists. Others say it's too costly for the industry to justify. But Peter Stewart, senior vice president for strategy and partnerships at technology firm PGi, says it should be a priority. "We need to dig deeper into the technical details of retrieval and storage of cloud data systems, as well as, observe how other industries and firms have transformed how they store and transmit data," he said. 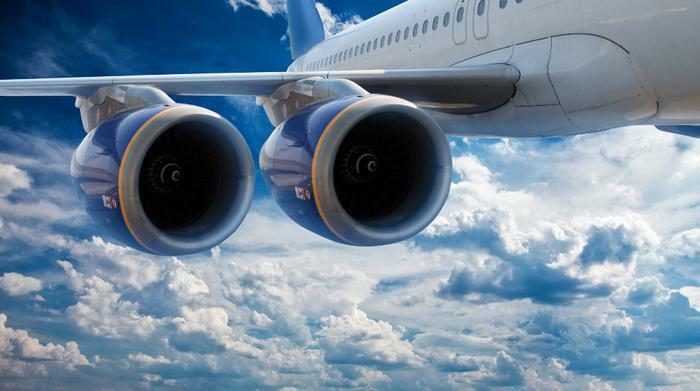 These technology experts concede the enormous bandwidth requirements to transmit constant, real-time data from an aircraft. But they argue limited data retrieval is possible, and is better than no data. In fact, planes currently have the capability to transmit limited data about engine performance to remote storage servers. In the case of the missing Malaysia jetliner, there is no evidence any such data was sent or retrieved. So, until the black boxes can be located and examined, what happened to MH370 remains a mystery.